The Taj hotels are known for their modern luxury and warm Indian hospitality. 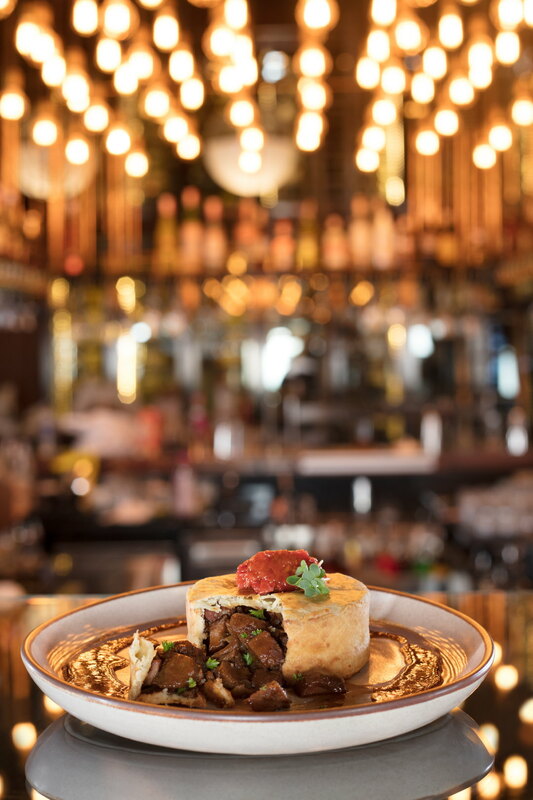 They are also quite at the top of the food chain with an impressive roster of restaurants such as Shamiana, Varq, Wasabi by Morimoto, Wink and Sea Lounge. The newest addition to their stable is House of Nomad — a quaint gastro bar that fits perfectly with the avant-garde vibe of their property in Bandra. It happens to replace Maritime by San Lorenzo (the Italian fine-dining restaurant) with its deco-inspired design and innovative culinary experience. One of the main visual attractions in this low-lit restaurant is the island bar. 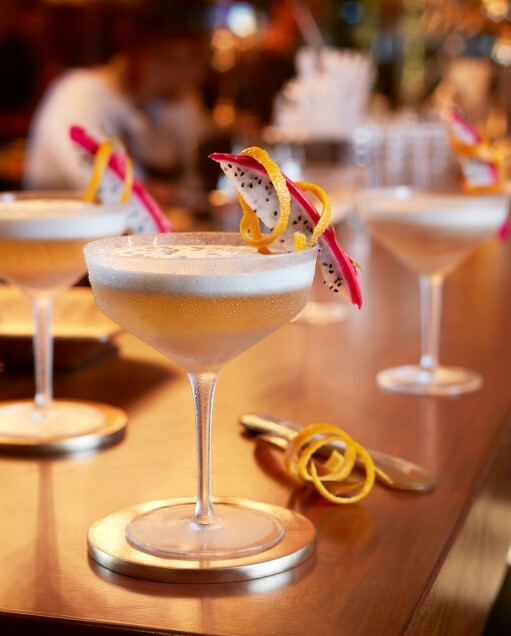 The spirits have been handpicked and the cocktail menu designed by UK’s award-winning mixologist Andrew Pearson. While the fashionable drinks will impress even the most seasoned gastronome, it is the experience that is worth reliving. As the name suggests, the restaurant is rife with stories, which the staff believes is as important as the food. I am told that the central bar has been fashioned out of a 17-year-old mango tree. Jiaan Kris J Lam, the manager, narrates this story: “The Taj has a practice of planting trees in different locations each time a new property is inaugurated. When Lands End opened, mango trees were planted near the Jamshedpur factory. While setting up House of Nomad, we got to know that one of them collapsed. Since it was so closely associated with our property, we used it as the main material for the island bar.” The bark of the old tree has not been varnished or worked on and is present in its purest form. These nuggets of information are as impressive as the cocktails that follow. Chanel no 6 pays tribute to Coco Chanel by incorporating ingredients from her iconic fragrance. It is served alongside a flacon of rose water (that you can spritz over your drink) and edible raspberry jelly encased in a lipstick. 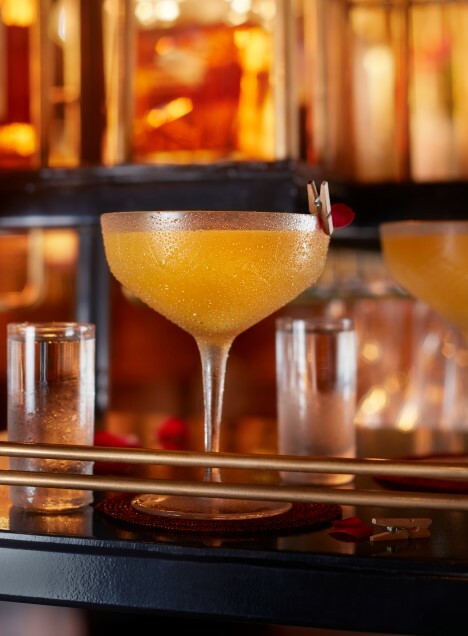 The Bollywood Hopeful is a cheeky tipple served with Ketel One, apricot liqueur, pureed mango and fresh lemon while The Final Say is an easy mix of Bacardi Gold, peach liqueur, and guava juice. As for the food, you can expect to find all of your home comforts. The short but impressive tapas menu has been designed by Chef Anirudhya Roy. Each dish is rich with texture and inspired by global flavours. Before you dive into the mains, try the jalapeno and cheese popcorn and onion rings coated in Bandra beer. The chorizo scotch egg is particularly delicious, reflecting a deep understanding of flavour and cooking technique. The cleverly cooked total lamb pie is a simple dish that packs quite a punch. There is something for every diner — succulent sheermal rolls, barbecue skewers and parmesan flatbreads with truffle and arugula. You must manage to save room for dessert. One bite of the baked chocolate cookie pudding and it’s like a party in your mouth. The sangria trifle with fresh fruits delivers a real bite of luxury, while those lacking a sweet tooth can still find pleasure in various ice creams and tangy sorbets.